As much as I am devoted to my Anastasia Beverley Hills Dip Brow Pomade ($32), I'm always on the lookout for a good mechanical pencil for those days when I want to put some brows on quickly and easily, without the fuss of a brush and pomade. I recently picked up the L'Oreal Brow Artist Xpert Mechanical Brow Pencil in Cool Brunette ($19.95) and put it to the test. The price of $19.95 is fairly good, though I do think it is a little pricey for drugstore. That said, it is so easy to find L'Oreal on sale for between 30 and 50% off if you keep any eye out. Chemist Warehouse actually has it for half price ($9.69) until 24th Septemeber, 2017. Now, let's talk packaging. It has a really simple but effective wind up mechanism that feels sturdy and smooth to wind up and down. 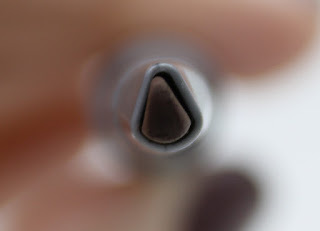 It also has a spoolie at the end, which can be a little annoying to use because the body of the pencil is so thick and it will bump as you are trying to use the much narrower spoolie, but that isn't really a big deal. I was really impressed by how secure the caps were on this packaging too. I could feel quite confident throwing it in my bag because I don't think they would come off accidentally and make a mess. The shade range is quite limited, especially in Australia, with 3 colours: warm brunette, cool brunette and ebony. This really annoys me about Australian releases! There are 7 shades available in the US to suit most people but here we get the brunette shades only. If you have light, blonde brows, you are unfortunately out of luck. That said, I really liked the cool brunette shade and thought it was a great match for my brows. I absolutely hate a lot of drugstore brow products because they pull to red but this one doesn't. Left to right: L'Oreal Brow Artist Xpert Pencil in Cool Brunette, Maybelline Brow Satin Duo in Dark Brown, Maybelline Brow Precise Micro Pencil in Soft Brown, Anastasia Beverley Hills Dip Brow Pomade in Medium Brown. The application was quite good and the angled, tear drop shape was small enough to be fairly precise, but large enough that I could apply the product quickly. The formula is quite dry while still being soft and easy to work with, but the dryness meant it stuck really well to existing brow hairs and not very well to the skin. This is good and bad in my opinion. I think it is good for just thickening up the brows and shape you already have quickly and easily, but not good for trying to cheat a bolder, crisper shape. It just won't really stick to places without brow hairs already. For example, I have sparse areas at the bottom beginning of my arch that always need a little more filling in and I couldn't get them as crisp as I like. However, I was able to apply a nice, natural and more full brow in a couple of quick strokes. As for longevity, I was actually pleasantly surprised. I usually don't find brow pencils last very well through the day, especially compared to something like Dip Brow, but the L'Oreal pencil was definitely still in place at the end of the day. Brows with L'Oreal Brow Artist Xpert Pencil. I think this product would be best for people who already have brow shape they are happy with naturally, and just want to darken and thicken existing brows to make them look fuller. 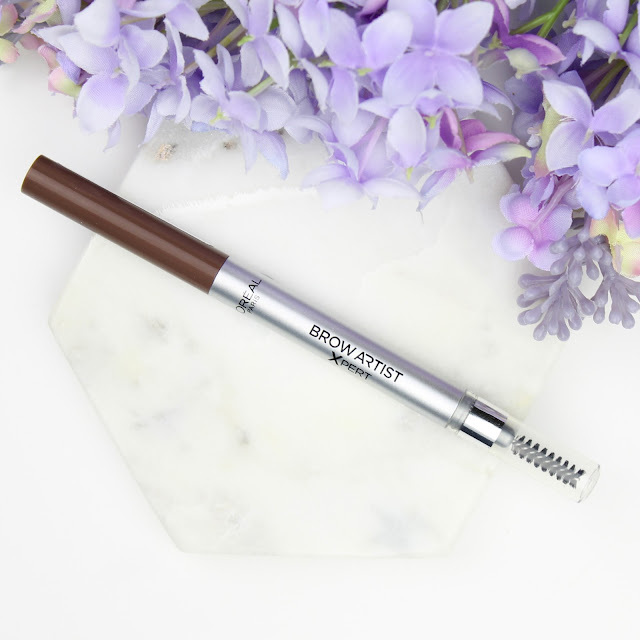 If you are looking to sketch in brow hairs that aren't there with feathery strokes or cheat a shape where there aren't brow hairs already, you will definitely need something more precise that actually sticks to the skin like the Dip Brow. I am really interested to try the L'Oreal Brow Stylist Definer Mechanical Pencil which has a much finer tip and is said to be a lot like the Anastasia Brow Whiz ($38), to see if it would allow for more precise sketching of shape but sadly it isn't available in Australia. 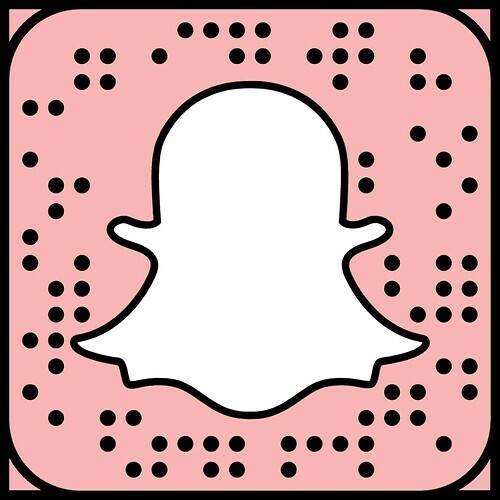 I hope my review of the L'Oreal Brow Artist Xpert pencil helped you figure out if it was right for you. Have you already tried it before or will you be picking it up to test for yourself? 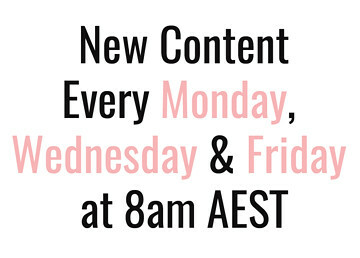 Let me know in the comments below and also let me know what brow product you are currently loving because I am always keen to test out some more. Disclaimer: I purchased this product myself with my own money. As always, all opinions are my own. 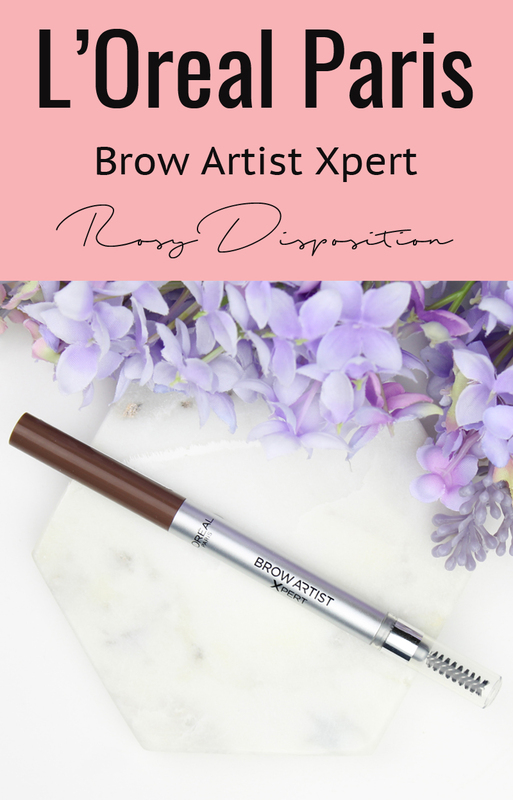 9 comments on "L'Oreal Brow Artist Xpert Pencil"
This actually sounds right up my street, I quite like the natural shape of my brows and like using easy products just to slightly fill them in. Will give this a purchase next time I see the drugstore having a sale! Love this review! I am always on the hunt for a new brow pencil. Disappointing about the shade range though, I don't know if any of those three will suit me! I'm looking for a new brow pencil and this sounds straight up my alley! Thanks for such a great review! Did you well in creating a natural brow with it. 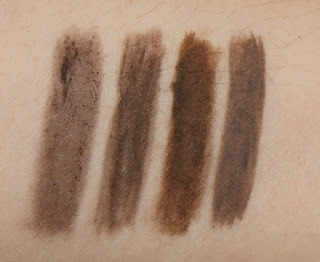 If you ever wanted to try a great drug store Brow pencil my favourite is the NYX Mirco Brow Pencil. It's the bomb!! This pencil looks pretty good! I'm yet to try one of those angled pencils, but I imagine they would be really quick to fill in the brows with! Oh this sounds great for me! Awesome review! I didn't even know they had a thicker slanted version. This definitely seems up my ally! I haven't seen this in stores, but it sounds pretty darn good. Love that it has a spooly and the triangular shape!